Join the Take Your Child to the Library Day Initiative! 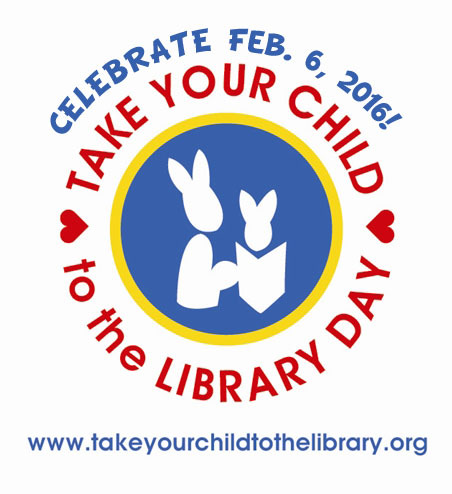 Join the Take Your Child to the Library Day Initiative! Take Your Child to the Library Day is celebrated on the first Saturday every February. This year marks the initiative’s fifth birthday, and your library is invited to join the party Saturday, February 6, 2016! In this post, co-creator Caitlin Augusta shares how the Take Your Child to the Library Day initiative started and how your library can get involved, as well as engaging program ideas, past success stories and online resources. What Is Take Your Child to the Library Day and How Did It Start? Take Your Child to the Library Day (TYCLD) is an international initiative that encourages families everywhere to take their children to their local library. The idea began in 2011 in the Waterford and Stratford Connecticut Public Libraries, when Nadine Lipman and I, along with artist Nancy Elizabeth Wallace, launched the initiative. No one could have predicted how quickly Nadine’s Take Your Child to the Library Day vision would catch on. Advertised on listservs and Facebook, the day generated excitement that spread from library to library. 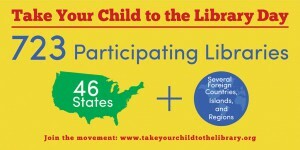 On February 4, 2012, the first celebration of TYCLD, 120 libraries participated in 17 states with 15,000 visitors. Soon after, we partnered with Upstart/Demco to create promotional materials for the event, including posters, bookmarks and library card holders. At this time, TYCLD became an initiative of the nonprofit Connecticut Library Consortium, thanks to the leadership of Jennifer Keohane, its executive director. The goal of TYCLD is to raise community awareness about the importance of the library in the life of a child, and to promote library services and programs for children and families. Publicized only through social media and word of mouth, this ultra-local celebration of the library’s place in the community continues to generate excitement and grow year after year. From 2012 to 2015, there have been more than 723 participating libraries in 46 states, along with several foreign countries, islands and regions serving populations of well over 28 million people and counting. The Association for Library Services to Children (ALSC), a division of ALA, has given TYCLD a partnership endorsement for the past two years. We were so pleased to have this national endorsement, especially because most of our volunteers are ALSC members. Take Your Child to the Library Day would not have become an international initiative without the artwork of Nancy Elizabeth Wallace. The author generously donated her art to represent the “face” of the day. 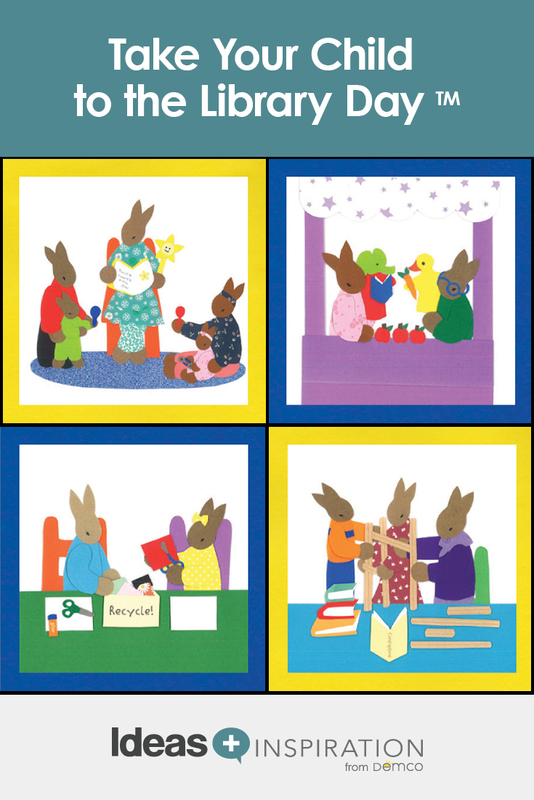 Her iconic rabbit collage, perfect down to the minute detail, continues to encourage families to visit their local libraries. And one more reason to celebrate — TYCLD will be showcasing new art from Nancy Elizabeth Wallace this season! It’s free and easy. Fill out the online registration form, and away you go! Everyone who fills out the form gets entered into a prize drawing as well. One of the best parts about this celebration is that it’s completely flexible. Once you’ve registered, you decide what will work best at your library and how you will celebrate. You might decide to hire a magician to perform on Saturday, February 6. Or you might not be open on Saturdays and will decide to run a special storytime or craft on another day to encourage families to visit. Some libraries even celebrate for a whole week — wow! You could tie the day into a book sale or other existing special event, or recruit volunteers to run activities. You decide what will work best at your library for your community. We love the individualized nature of events; each library puts its own personality into its plans. Any Suggestions for What to Do That Day? Run a storytime, a book group, a music time, a craft or hire a performer. Plan a scavenger hunt, give tours or have a library card sign-up table. Schedule face painting or therapy dogs. Rent a storybook character costume and dress an obliging teenager up in it for a meet and greet that will wow kids. Hold a prize drawing or a “Guess the Number of X in a Jar” challenge. Choose a theme and weave different activities into it (a famous author, a popular book, a local point of interest or hobby, or even the anniversary of a historical event). We make it easy to join in the fun! Visit our event page for online registration, printables, official logo, image files of Nancy Elizabeth Wallace’s art, sample press releases and more. 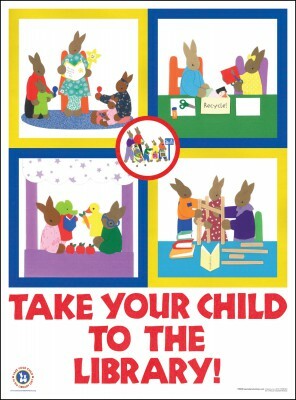 Take Your Child to the Library Day materials available from Upstart/Demco. View the full list of participants and see ideas from libraries around the world. We love to hear from all of you. Second to the thrill of a crazy-busy children’s department, seeing how libraries celebrate is the best part of this event! Please don’t hesitate to ask questions and share comments, success stories and those heartwarming moments with us via email at library@takeyourchildtothelibrary.org. Get involved. TYCLD is looking for volunteers to provide basic email and social media support. We also welcome state representatives to help promote the event in your state. Time commitments are reasonable, and it’s a great way to interact with other libraries. Please email us if you wish to volunteer. Use the hashtag #takeyourchildtothelibraryday on social media. Participant Survey: Share your success with us! Caitlin Augusta is a children’s librarian at the Stratford (CT) Library and cocreator of Take Your Child to the Library Day. In her spare time she assists with volunteer income tax assistance and the Jane Austen Society of North America.